The Government Law College, Ernakulam, formerly known as ‘His Highness the Maharajas Law College’ was established in 1874 by the Maharajah of Travancore. 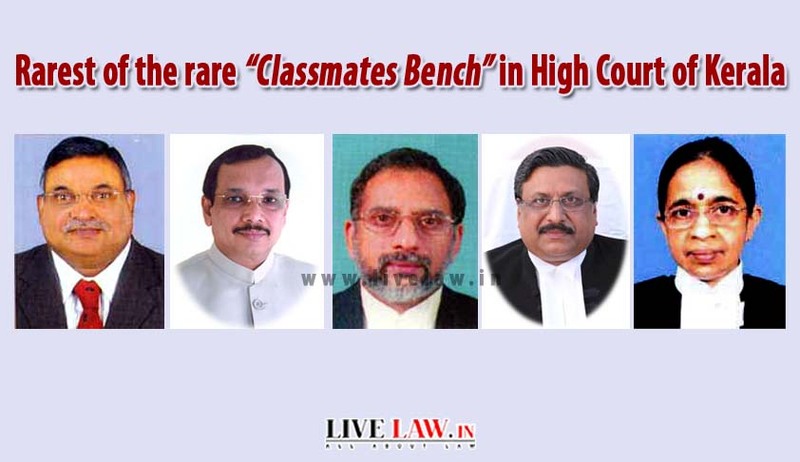 This year will be a milestone in its history with the rarest of the rare “division bench” of five classmate judges sitting together at the Honourable High Court of Kerala. Legal News India, Kerala High Court News, Indian Legal News.